Shower the children in your life with a little something special. 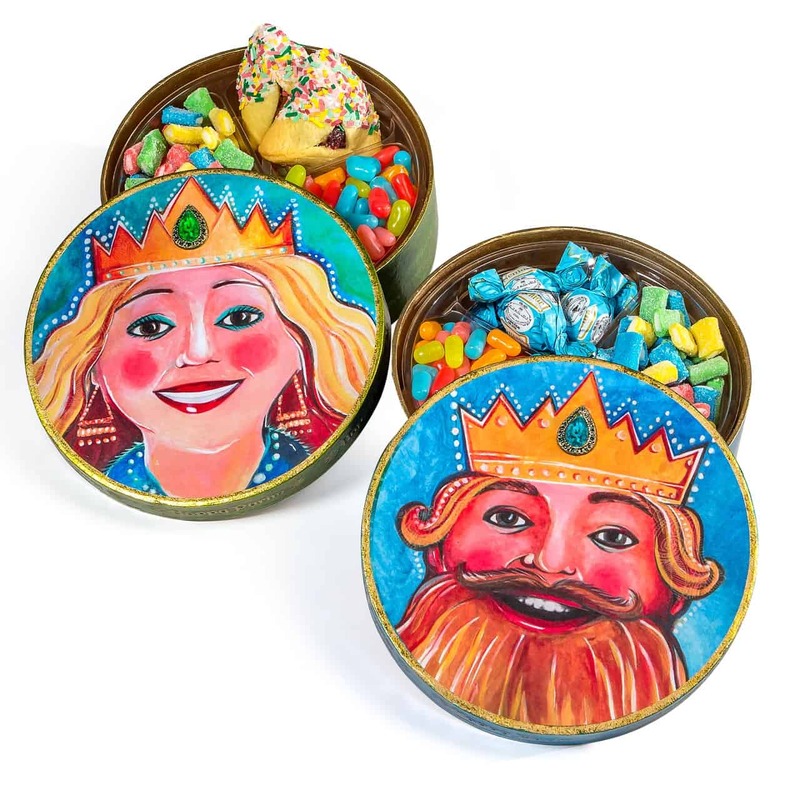 Each of the these beautiful boxes is hand painted with just the perfect mix of fun and whimsy. Inside they’ll find confetti hamentaschen, sour bites, milk chcolate truffles and jelly sticks.